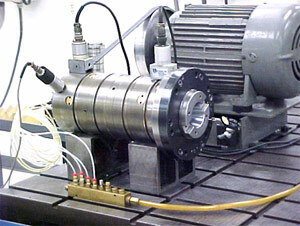 At High Speed Technologies, Inc. we are experts in Niigata Spindle Repair and Rebuild to like new condition. 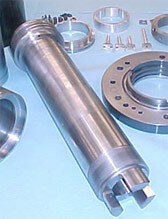 HST provides an OEM equivalent warranty on all Niigata spindle repairs. Niigata CNC machines are a well established tradition in Japan. Niigata can trace their roots back to 1895 as Niigata Engineering. As an early defense contractor they provided 50 lathes to the national army way back then. 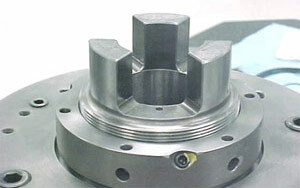 If you have a Niigata spindle that needs repair HST can help. Although our history doesn’t go back quite as far as Niigata’s we have been repairing spindles for awhile. 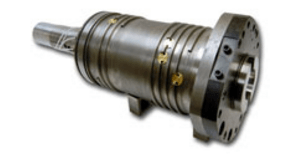 Typically Niigata spindles are oil lubricated allowing them to run at higher speeds than grease lubricated counter parts. At HST we carefully clean the minute orifices in each lubrication nozzle. Extra care is taken to ensure proper placement and sealing when they are installed. 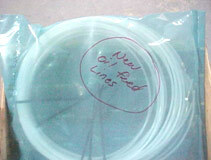 Niigagta bearing stacks are very long and well spaced making them extremely rigid. They are quite strong. Unfortunately the spider coupling that transmits motor torque to the spindle shaft appears to be a weak point. More than once HST has been called upon to repair these failures on Niigata spindles. To repair the spider coupling without sacrificing strength we cut off the old part and bore the shaft out. A new part was machined from high strength steel with a plug to fit into the bored out shaft. Then it was case hardened. The part was heat shrunk into the shaft and electron beam welded in. The whole assembly was finish ground to exact dimensions and precision balanced. One of the Niigata spider couplings repaired by HST. Good as new! The finished product looked like a brand new shaft. These repairs have been in service for several years at the time of this writing. The repair was completed for less than the cost of a new shaft and many weeks faster than a shaft could be purchased. This is the kind of service customers expect out of HST.The repaired shaft is dynamically balanced on one of our Schenk balancers and high speed precision trim balanced after final assembly during run-up. Getting ready to run up a repaired Niigata Spindle on one of our test stands. We have oil mist and oil injection systems on our run-up benches so we can safely bring your spindle up to full speed. When we repair a Niigata spindle it comes with a full OEM equivalent warranty so it must be right. 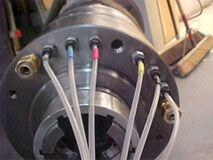 Every aspect of your Niigata spindle is examined and repaired as required. Worn tapers and bearing journals can be restored with our GPG process. This will guaranty that your spindle will run with the same smoothness and stiffness it had when it left the factory. With our GPG process damaged tapers can be plated up and precision ground to perfect dimensions. ID tapers often suffer damage for debris that sticks to the tool holders. This can cause minor indentations. After awhile these will affect tool capture and part finish. If your Niigata spindle has a damaged taper HTS can restore it to new. At HST we will restore all worn surface to micron tolerances. Niigata makes a very robust spindle. 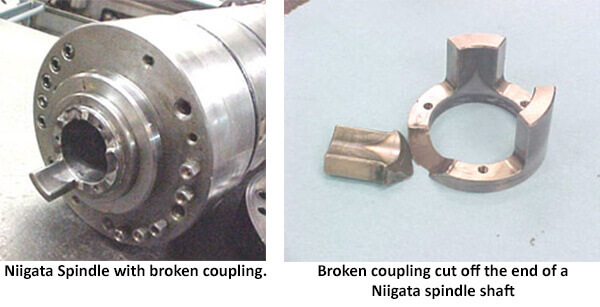 HST will repair your damaged Niigata spindle to like new with a full OEM equivalent warranty.